What is the recommended Viewing Distance for Samsung TV's? 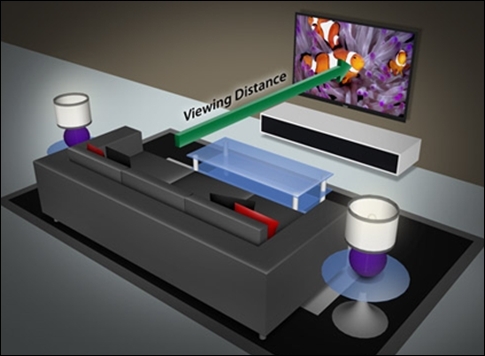 The Recommended viewing distance of Samsung TV should be approximately 4 times of the diagonal length of the TV Screen. 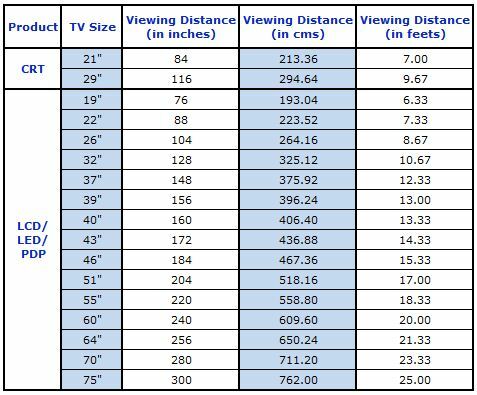 ● Based on a 46 inch TV, the recommended distance from the TV is 15.33 ft.
46*4 = 184 Inches = 15.33 ft.
● Based on a 40 inch TV, the recommended distance from the TV is 13.33 ft.
40*4 = 160 Inches = 13.33 ft. NOTE : The above mentioned screen sizes are the approx. value which may vary depending on product size. How can we find the Serial number and model of Samsung TV? What is Clean View in Samsung F Series TV? What is an E-Manual and its benefits in Samsung TV?